Laser Resurfacing tightens the face and jawline, removes age spots and redness, and improves the appearance of scars. Spa 35 med spa has two laser skin resurfacing options for you, CO2 and Erbium (Pixel 2940). The CO2 is a more aggressive procedure requiring more downtime. The Erbium (Pixel 2940) is more superficial but also produces great results. For over ten years the Spa 35 team has been helping clients look their best with cosmetic lasers, neuro-regulators (Botox), dermal fillers and chemical peels. Treating Your Skin With A Laser That Removes A Fraction Of The Skin (aka Fractional resurfacing) Deposits Large Amounts of Energy Into Your Dermal Layer, Causing New Collagen Growth and Skin Renewal. This Can Be An Aggressive Procedure With Downtime (3-7 days typically) That Reduces Age Spots (brown), Fine Lines and Red Skin. If you’re not ready for a face-lift, but you’re no longer satisfied with the results of topical creams and lotions, Laser Skin Resurfacing could be the perfect treatment for you. Laser Skin Resurfacing treatments will improve your skin’s color, texture and tone. Visit Spa 35 and we will combine different light technologies and at home products into a treatment plan that is customized to your needs. Keep skin looking vibrant and strong. Results vary by individual. Your genetics, current medical health, diet, exercise, and sun exposure all influence your results. Photographs may not represent your results. Ablative laser treatment that can be delivered in a range of aggressiveness. Fractions of the skin (hence the term fractional) are treated, leaving healthy skin to protect the area and speed the healing process. Down time can be from two to seven days, depending upon the treatment and the individual. What is the Spa 35 Laser Resurfacing Procedure? Laser skin resurfacing consists of the application of a laser beam that has been divided into a grid pattern to the surface of the skin. The skin cells within the treatment area are rapidly heated by the laser and ablated from the skin. 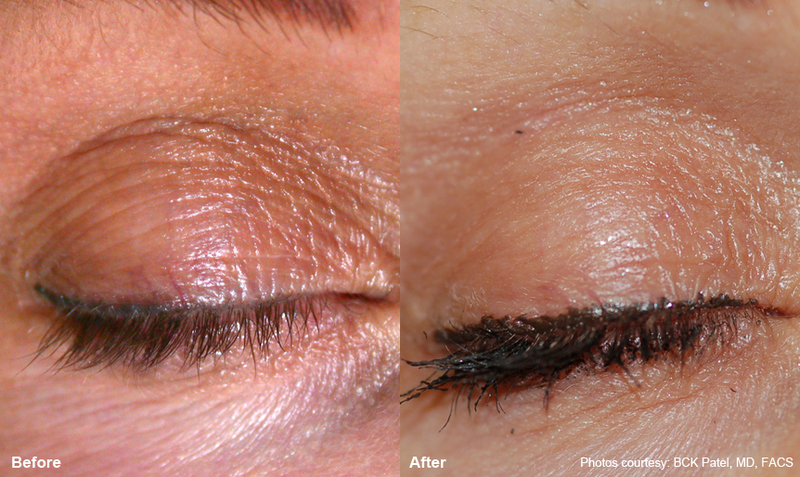 The area untouched by the laser remains unchanged and helps minimize the recovery time after the treatment. The treatments are generally safe, with mild discomfort, and effective without injections, surgery or downtime. 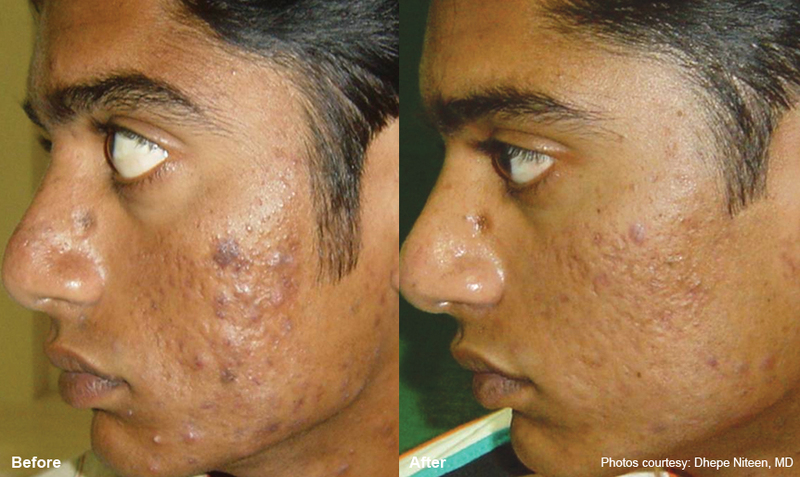 Laser skin resurfacing will even out your skin color and reduce tiny broken blood vessels. Texture of the skin is improved, It firms up loose skin around your eyes, nose and jaw, so you regain a more youthful, contoured appearance. specially designed for the delicate skin on the face, neck and chest, Treatment areas can include: Forehead, Under the Eyes, Cheeks, Upper Lip, Chest, Neck and Around the Mouth. What Type of Lasers Does Spa 35 Use for Laser Skin Resurfacing? Two types of cosmetic lasers are used in Spa 35® Medical Spa. The Erbium:YAG laser with a wavelength of 2940 nm and a CO2 laser with a wavelength of 10,600 nm. The 2940 nm wavelength energy is absorbed by more supericial layers of the skin than the 10,600 nm laser. Therefore a treatment with the 2940 nm laser generally has less downtime and quicker recovery. A treatment with the 10,600 nm laser is generally a deeper and more aggressive resurfacing treatment, with longer recovery times. The Spa 35 team will help you select the best laser for your resurfacing treatment including information about your goals, available downtime, tolerance to cosmetic procedures and budget. Laser Skin Resurfacing uses a fractionated laser pattern to provide complete skin rejuvenation. Precise cosmetic lasers create thousands of microscopic perforations into your skin, which stimulates new collagen, elastin and hyaluronic acid to grow. This improves your skin’s texture and tone to smooth fine lines and wrinkles returning your skin to a more youthful state. The skin around each of these perforations remains intact, which allows the skin’s top layer to heal from the edge of these tiny holes very rapidly. The device that delivers Pixel™ laser skin resurfacing, the Harmony®XL System, has been cleared by the FDA for more than 60 aesthetic and medical applications. It improves skin color, wrinkles and skin texture. The CO2 laser is manufactured by Syneron-Candela®. Their laser is also regulated by the FDA and must meet stringent requirements to be utilized for cosmetic use. As with many laser treatments there are risks associated with breaking the skin barrier, such as infection, and sensitivity to topical analgesics. Details on contraindications and an informed consent document are provided as part of the laser resurfacing consultation. In general candidates for laser skin resurfacing are healthy individuals with no significant medical conditions and a medical history free of major medical conditions. A single treatment session will take about an hour. 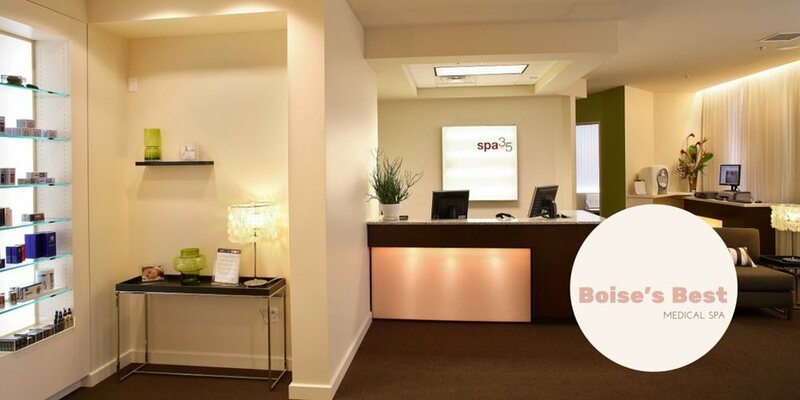 Your time at Spa 35® will generally be about two and one-half hours to accommodate pre and post treatment instructions and numbing. The procedure is generally included as part of a larger overall skin improvement plan that include other Spa 35® services and at home skin care. Your exact treatment regimen will depend on your individual condition. Can men get laser skin resurfacing? ** Results vary. Men are increasingly getting skin resurfacing and other aesthetic procedures to improve their appearance. Spa Thirty Five in Boise delivers a number of cosmetic procedures for men. http://www.PixelPerfect.com Alma Lasers, the Well Being company that brought you Pixel Perfect, shares a video about men and aesthetic laser treatments. Fight wrinkles, acne, sun damage and more. Yes. Men are increasingly recognizing the benefits of cosmetic skin treatments like skin resurfacing. See this video to watch a man get laser skin resurfacing. Depending upon the laser used and the aggressiveness of the treatment parameters the treatment can give men an overall refreshed look, it can diminish the appearance of crow's feet and furrow's in the forehead (these should also be treated with Botox®. More aggressive treatments can tighten the skin for a more youthful appearance. Men can also investigate the ProfoundLift® non surgical facelift if their facial skin has become loose. Yes. The fractional laser resurfacing treatment can be adjusted in aggressiveness to accommodate your scheduling needs and desired outcomes. But almost all versions of the procedure require recovery time. This can be as short as one day or as long as seven days. For at least the first two days plan on staying at home. The Spa 35® team will communicate to you about your recovery time and ensure the treatment you've selected is appropriate for the recovery time you have available. The results are life long. Fractional skin resurfacing is the ideal procedure to eliminate the discoloration and textural irregularities that make your skin look older. But keep in mind the the procedure "rolls back" the impact of aging on your skin but after the procedure you will continue to age and to be affected by the sun and elements. As you are exposed to sun and natural aging processes the signs of aging will continue to appear over time after your resurfacing procedure. To maintain the healthy glow that the procedure can bring, patients should develop lifestyle habits to slow the appearance of aging. Such as sun blocks with physical blocking properties, retinol based skin creams and other skin care products. You may also choose to come back periodically for touch-up treatments. Complete skin rejuvenation doesn’t happen in a single office visit. What are alternatives to laser skin resurfacing? Laser skin resurfacing is not for everyone. Other treatments that can will improve skin color and tone are: Intense Pulsed Light (IPL), chemical peels, Obagi skin care, photo-dynamic therapy. You could also get a facelift, or do nothing. Jill Waibel, MD Fractional photothermolysis has been the most remarkable breakthrough in clinical laser science since selective photothermolysis. Fractionated laser beams create microscopic wounds that reach greater dermal depths and promote a rapid healing effect. This method of skin resurfacing using a laser has led to clinical efficacy in aesthetic procedures and scar treatment with high physician and patient satisfaction. Fractional lasers have a better safety profile than traditional resurfacing techniques. Research over the last 8 years has improved our understanding of the clinical effects, histologic changes, molecular cascades, and risks associated with fractional laser resurfacing. Over the next 5 years, developments in fractional devices will be exciting as we continue to research and understand the potential of these devices. We will see more applications of fractional lasers in both aesthetic and medical procedures. The next frontier of fractional devices will be laser-assisted delivery systems using the channels to deliver drugs and other bioactive materials. Other light sources will be fractionated, and tunable, high-peak, power-variable pulse duration devices may enter the market. Cosmet Dermatol. 2012;25:43-47.